Swiss Re, for its part, is in the earliest stages of seeing how it can tap the “wisdom of the crowds” to help make the reinsurer operate more effectively. 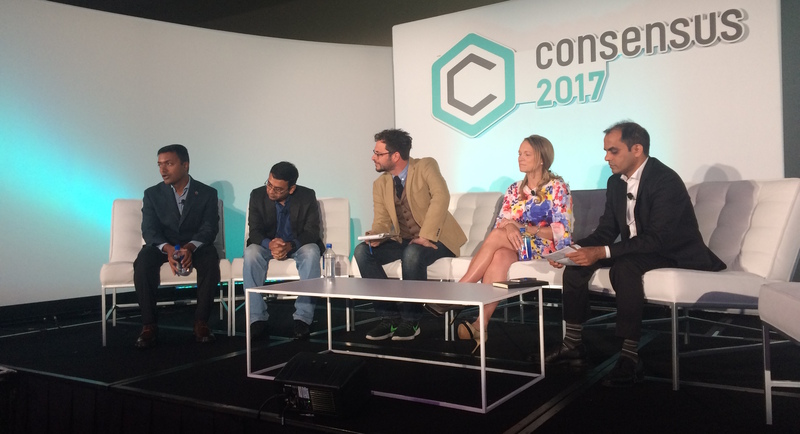 Jags Rao, who serves as the Switzerland-based firm’s blockchain workstream lead, conceded that such an application isn’t going to happen in the short term – but that doesn’t mean it’s not on the firm’s radar. The idea of using prediction markets that let experts wager on future events based on their certainty of its outcome is also being explored blockchain startup Gem, which has partnered with healthcare tech firm Philips to research the potential benefits of blockchain for healthcare. Siva Kannan, the company’s VP of engineering, said that his team is also in the early stage of looking at the prediction market concept. According to Kannan, if his company were to ever consider using data derived from a blockchain-based prediction market in a healthcare application, he’d be unlikely to do so with any organization funded by a token that didn’t also play an active role in the functionality of the app itself. Not everyone was onboard with the concept – at least for now, including the membership of distributed ledger consortium R3, which was represented by director Ryan Rugg. Subhajit Mandal, MetLife’s director of fintech innovation, also said his company wasn’t currently looking into prediction markets. Their reasoning: because those markets are generally reliant on publicly available information, and his firm’s focus on life insurance means that the requisite data is tightly controlled.